Anders Wallace is a PhD Candidate in the Anthropology program at the CUNY Graduate Center. His research interests are in gender, ritual, performance, and new media. Specifically, his dissertation research is an ethnographic study of pickup artists and so-called seduction communities, and how neoliberal ethics of self-management integrate with changing norms of intimacy and identity for heterosexual men. 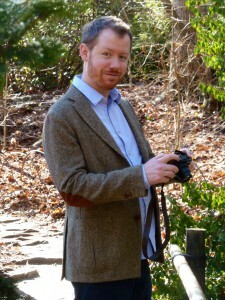 Anders has previously conducted ethnographic fieldwork in locations such as Italy (on immigration and community identity in a small town in rural northern Italy), and Rio de Janeiro, Brazil (on community and dispossession in preparations for the 2016 Olympic Games), as well as in Harlem, New York (on the politics of gentrification and food consumption). He was raised in Rome, Italy, and is fluent in English and Italian, as well as conversant in French, Portuguese, and Arabic.